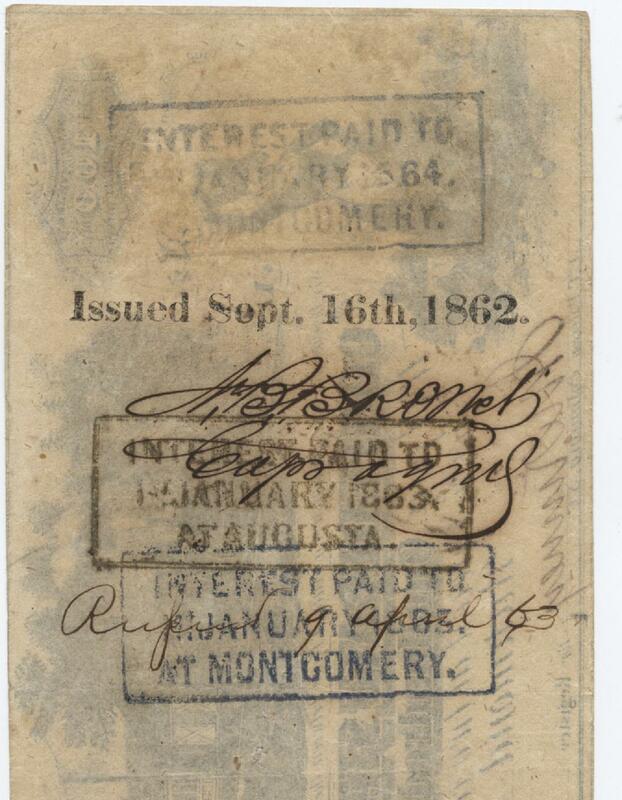 T-40-CR-298-1862 $ 100 DIFFUSED STEAM ON TRAIN, SMALL LETTER BELOW "A", ISSUED BURWELL BOYKIN ALABAMA CALVERY, GEORGIA STATE SEAL, FAMILY FROM SC, VF+ $2500...REV...VF+ $2500...REV. 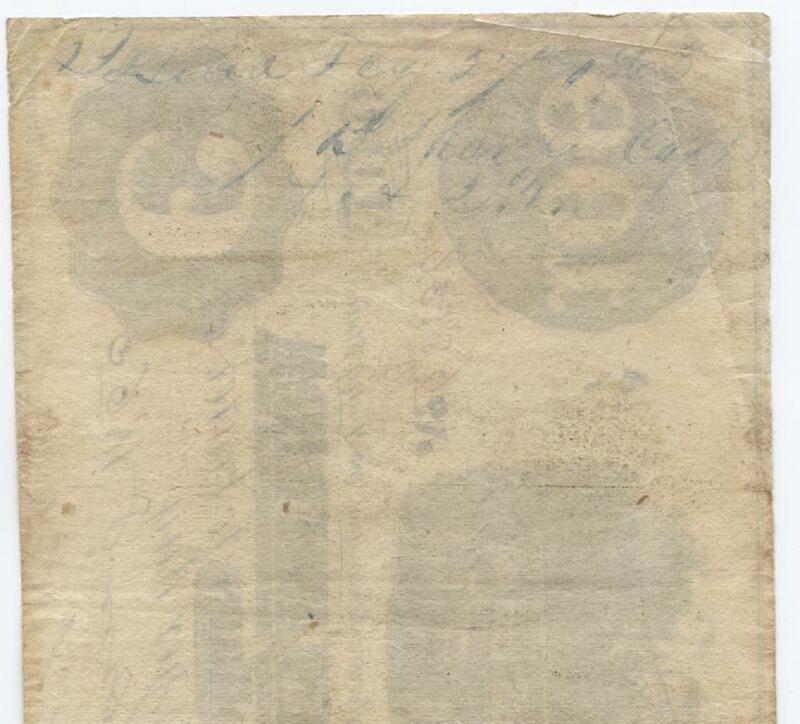 T-40-CR-300-1862 $ 100 DIFFUSED STEAM ON TRAIN, LETTER BELOW "A" FROM R.H. GRAHAM WHO WAS A LT. 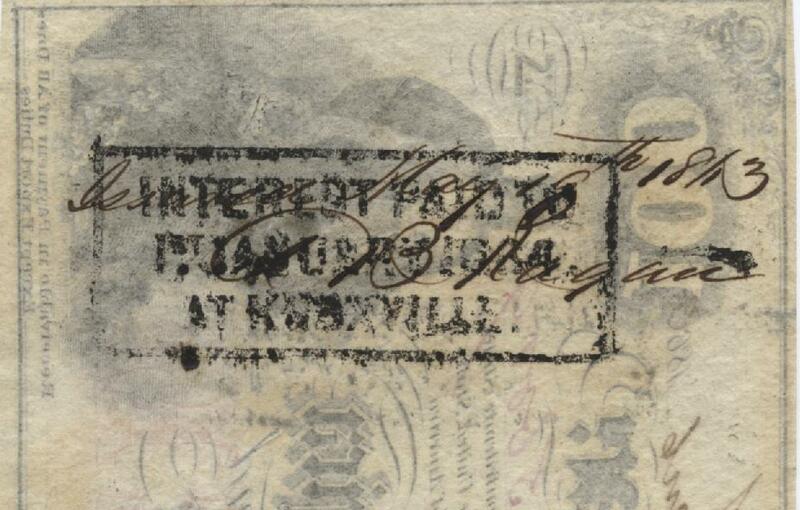 COLONEL IN TEXAS, XF+ $2850...REV. 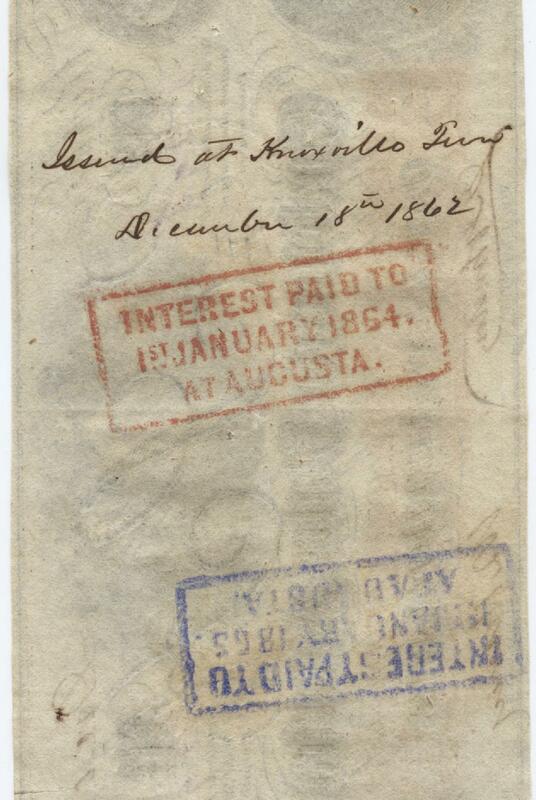 T-40-CR-298-1862 $ 100 DIFFUSED STEAM ON TRAIN, SMALL LETTER BELOW "A" FLORIDA MILITARY ISSUED W.S. HARRIS $900...REV. 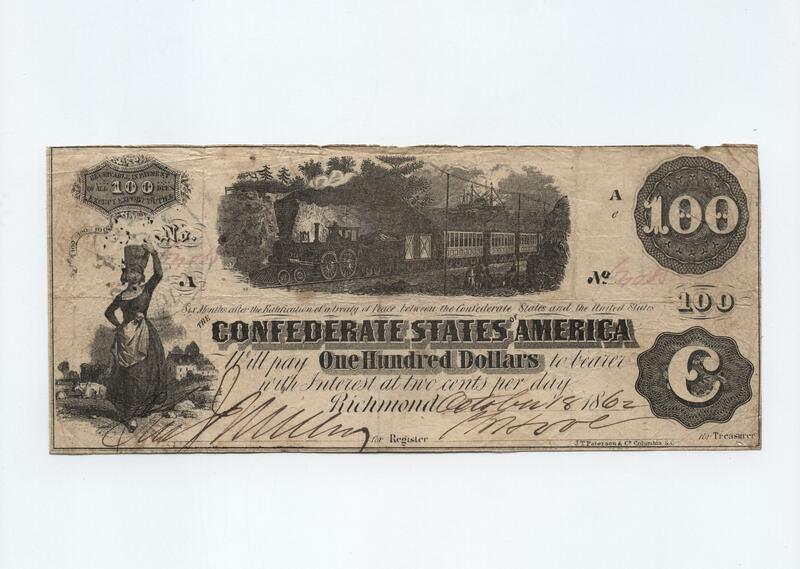 T-41-CR-328A- PF-UNL-1863- $100 SLAVES HOE COTTON,CSA BLOCK WTMK PAPER, LINE STOPS AT EXCEPT, WITH "T" ERROR, ISSUED W.S. 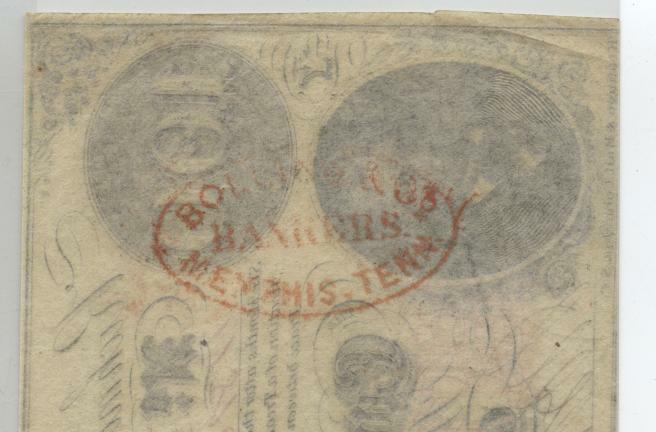 HARRIS, NOTE ALSO CONTAINS 3 1864 STAMPS WHICH IS RARE, VF $950...REV. 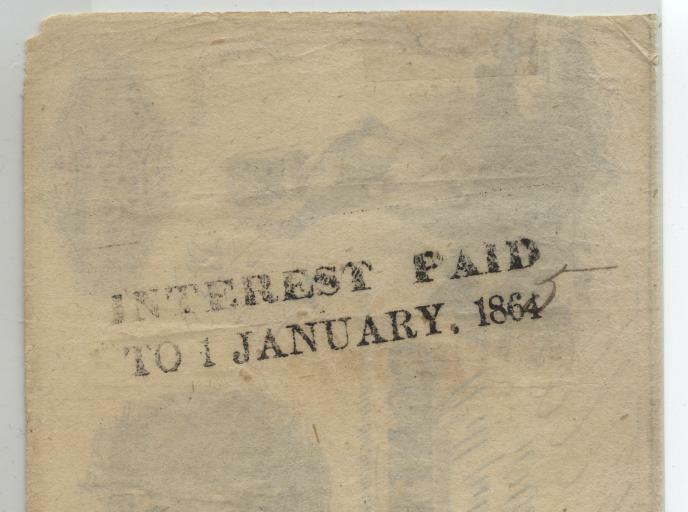 T-41-CR-328A-1863- $100 SLAVES HOE COTTON,CSA BLOCK WTMK PAPER, LINE STOPS AT EXCEPT, ISSUED MAJOR H.D.MCELRATH, XF+ $550...REV. 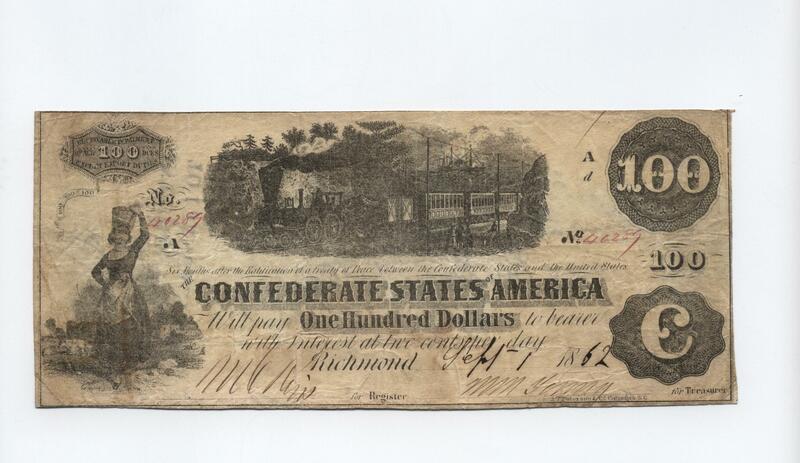 T-41-CR-319A-1862- $100 SLAVES HOE COTTON,CSA SCRIP WTMK,SCROLL #1, LINE STOPS AT EXCEPT, ISSUED EDGAR MILLER VF $600...REV...VF $600...REV. 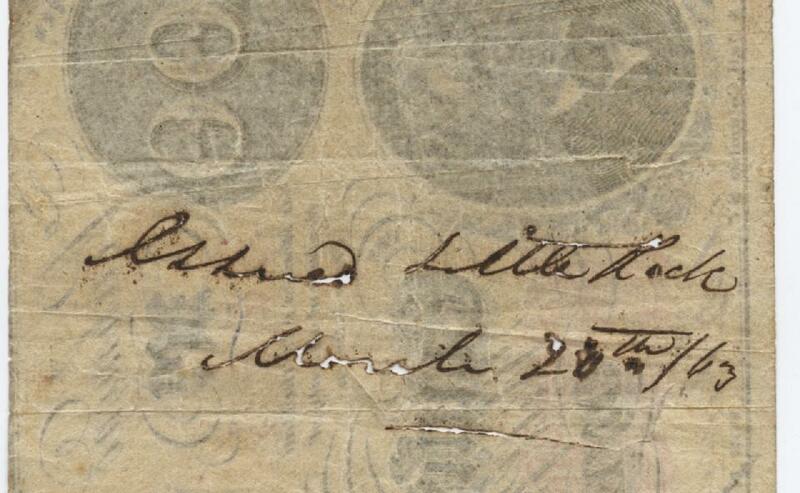 T-41-CR-320A,1862- $100 SLAVES HOE COTTON, CSA SCRIPT WTMK , SCROLL #2, LINE STOPS AT EXCEPT, ISSUED EDGAR MILLER CU $700...REV. 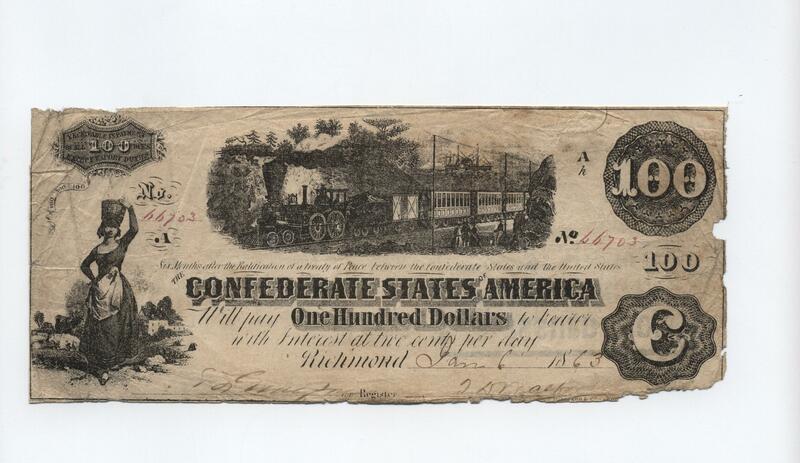 T-41-CR-325-1863- $100 SLAVES HOE COTTON, PLAIN PAPER, LINE DOES NOT STOP AT EXCEPT, ISSUED JAMES PAXTON, UNC $550...REV. 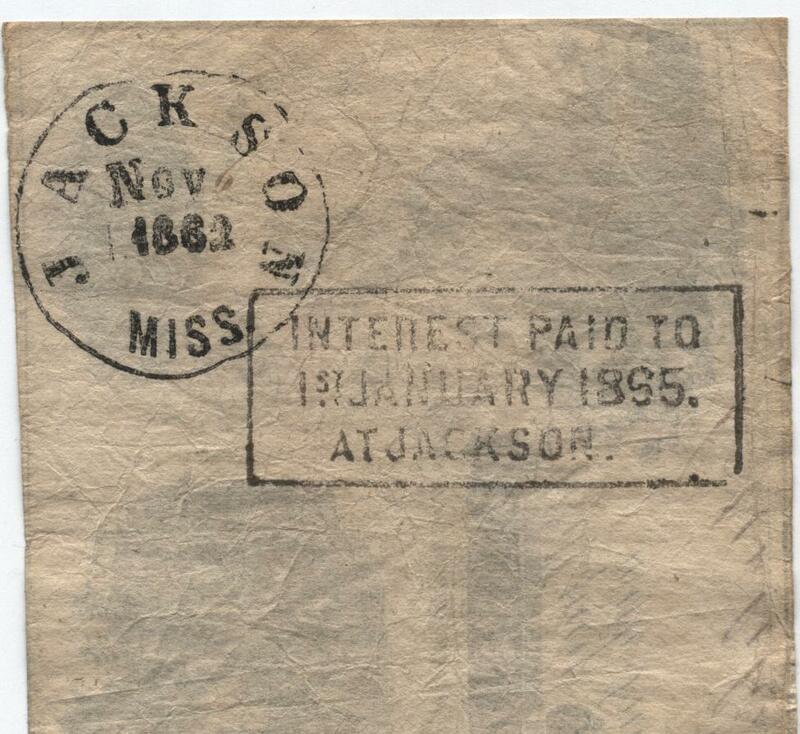 T-41-CR-319A-1862- $100 SLAVES HOE COTTON,CSA SCRIP WTMK,SCROLL #1, LINE STOPS AT EXCEPT, J PICKENS, SOUTH CAROLINA OFFICER, VF+ $875...REV. 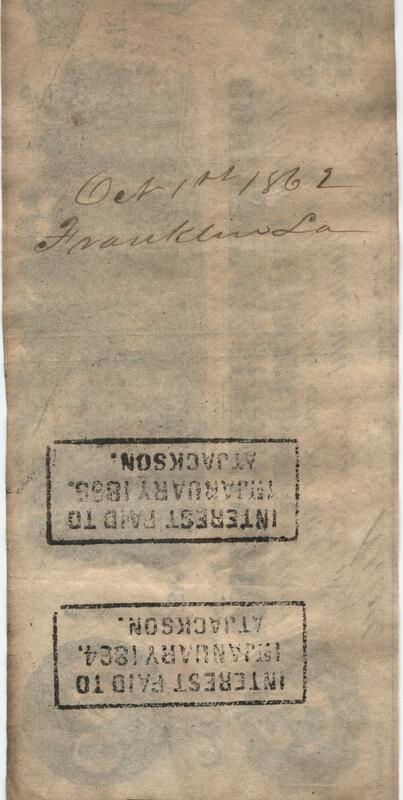 T-40-CR-298-1862 $ 100 DIFFUSED STEAM ON TRAIN, SMALL LETTER BELOW "A" ISSUED CAPTAIN A.B. RAGAN F $375...REV... 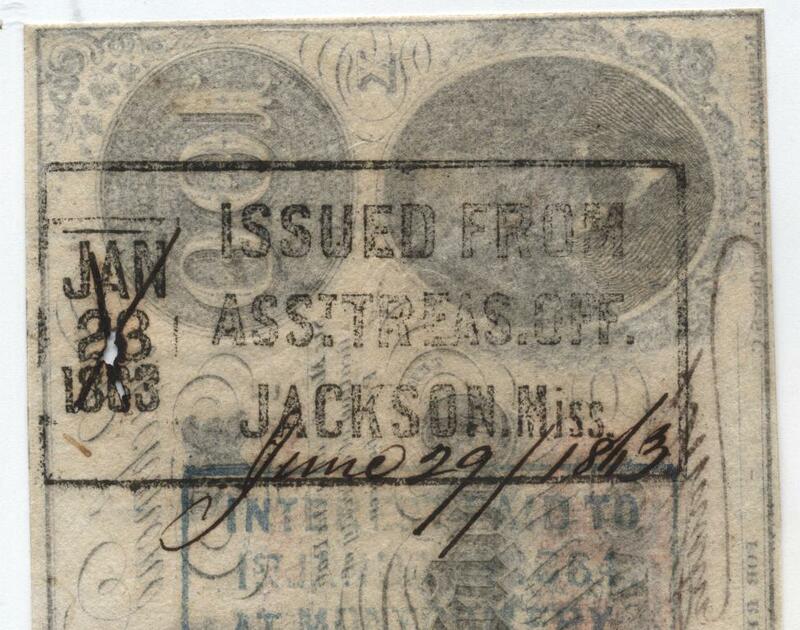 ISSUED A.B. RAGAN XF $450...REV. 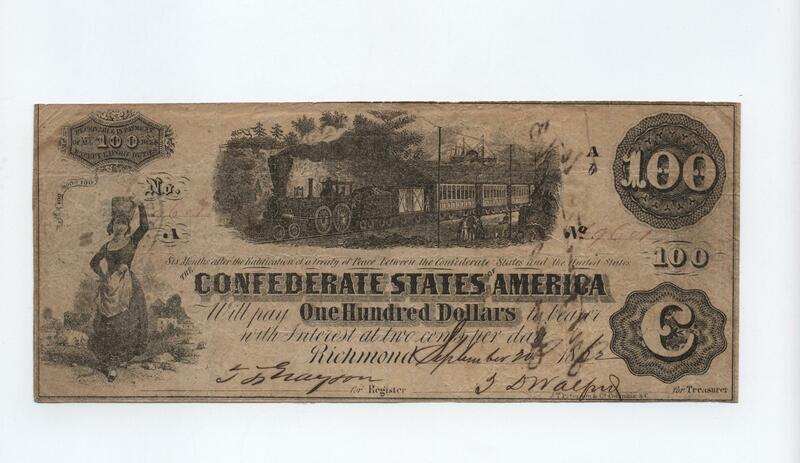 T-40-CR-300-1862 $100 DIFFUSED STEAM ON TRAIN, LARGE LETTER BELOW "A, COMMISARY AGENT AND CAPTAIN C.S. STUBBS AND JOHN BOSTON, AU $475...REV...AU $475...REV. 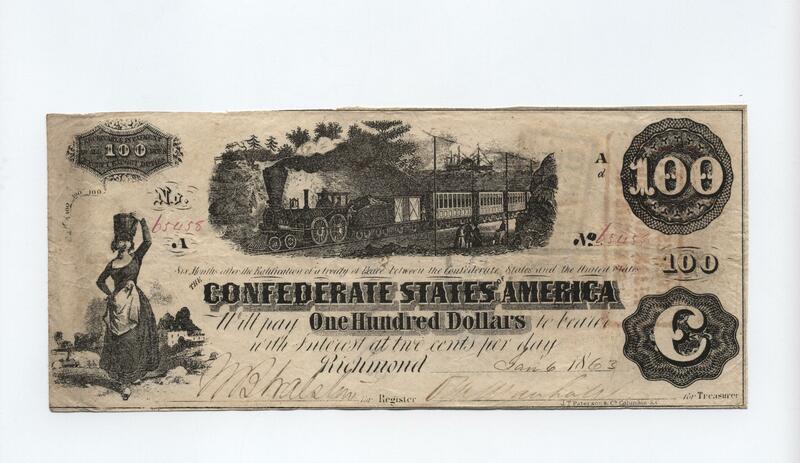 T-41-CR-320A,1862- $100 SLAVES HOE COTTON, CSA SCRIPT WTMK, SCROLL #2, LINE STOPS AT EXCEPT ISSUED W.D. 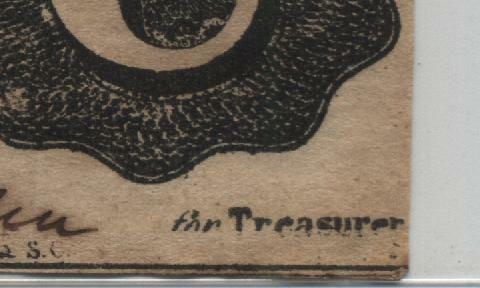 THOMASON VF $700...REV...VF $1000...REV. 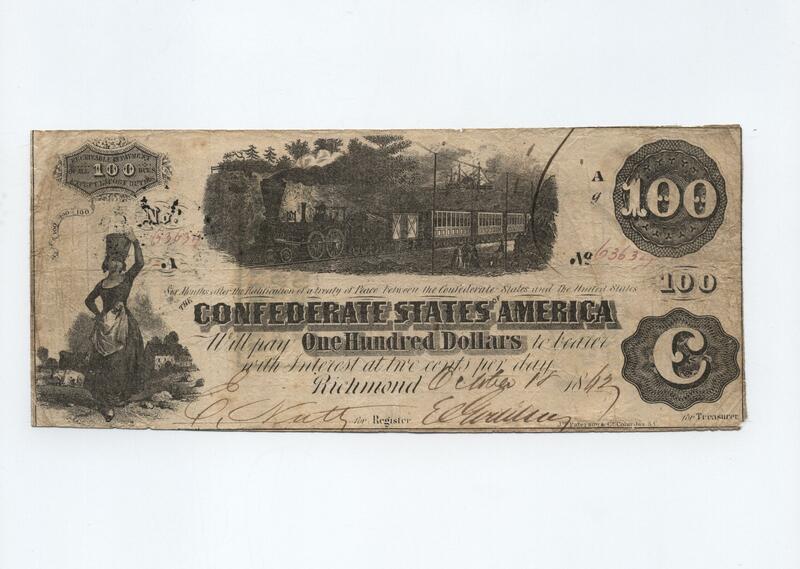 T-41-CR-319A-1862- $100 SLAVES HOE COTTON,CSA SCRIP WTMK,SCROLL #1, LINE STOPS AT EXCEPT, ISSUED MAJOR MARTIN WALT, VF $975...REV. 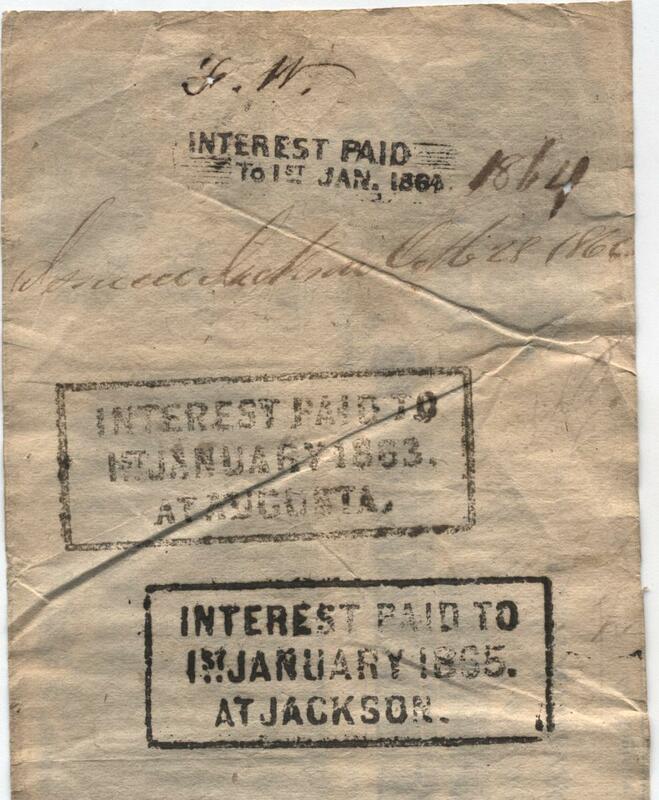 T-41- CR- 317A-1862 $100 SLAVES HOE COTTON, CSA BLOCK WTMK, LINE STOPPING AT EXCEPT, INTEREST PAID ALEXANDRIA, LOUISIANA VF $850...REV. 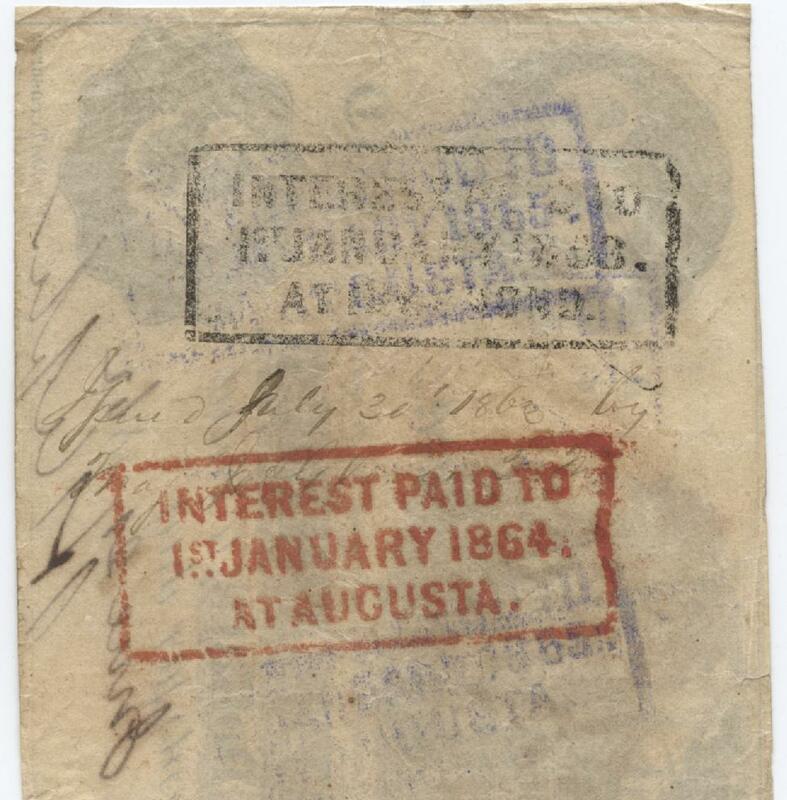 T-41-CR-318A-1862, $100 RICHMOND, SLAVES HOE COTTON CT., BLOCK CSA WTMK,#2, LINE STOPPING AT EXCEPT ISSUED AUSTIN, TEXAS VF $950...REV...XF $1200...REV...XF++ $1600...REV. 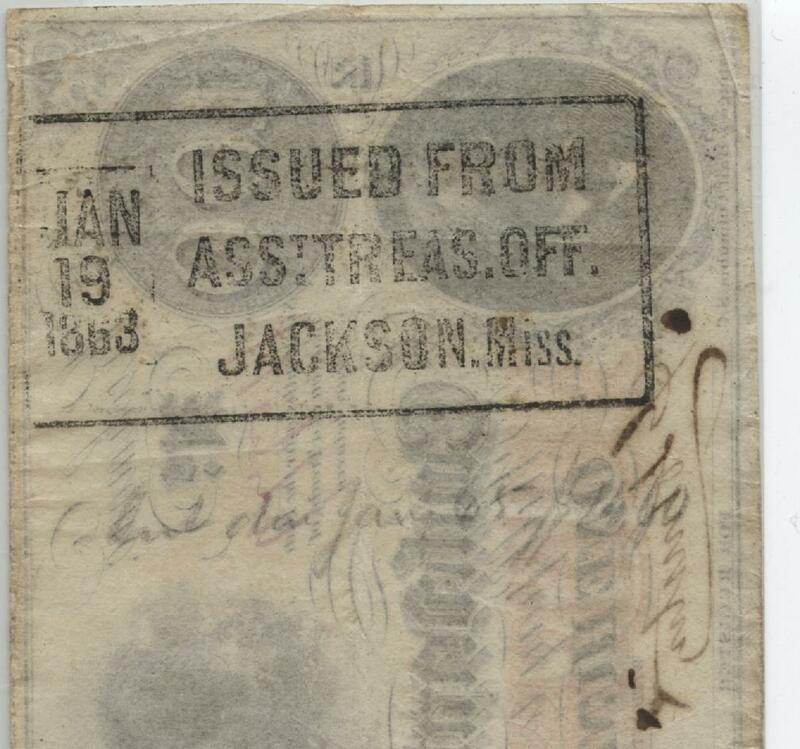 T-41-CR-320A,1862- $100 SLAVES HOE COTTON, CSA SCRIPT WTMK , SCROLL #2, LINE STOPS AT EXCEPT ISSUED LARGE JACKSON, MISSISSIPPI STAMP & CAMP LILI, VIRGINIA YMCA VF+ $475...REV. 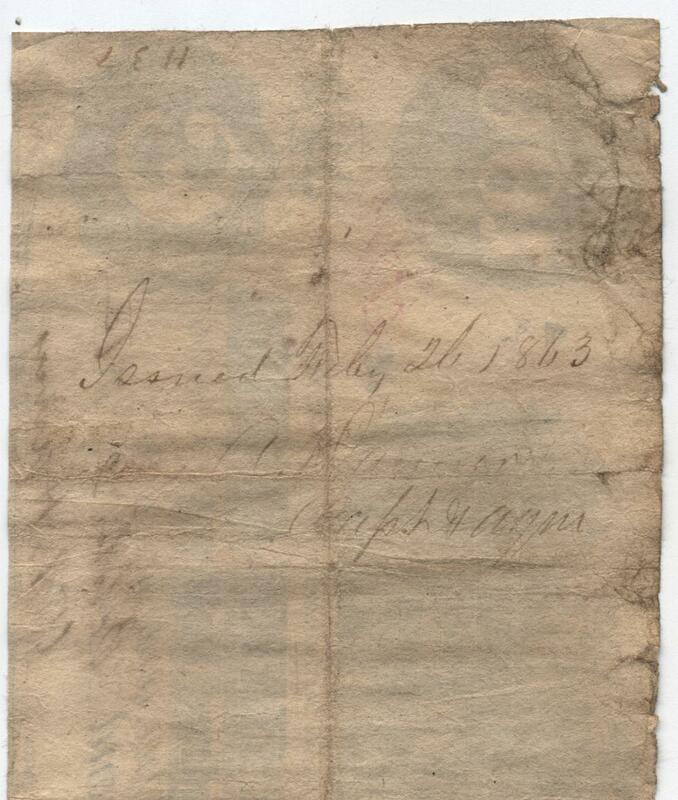 T-41-CR-319A-1862- $100 SLAVES HOE COTTON,CSA SCRIP WTMK,SCROLL #1, LINE STOPS AT EXCEPT, ARCHIBALD AVIRETT WHO SOLD BACON TO QUARTERMASTER G.W. LONG,VF HOLE $550...REV...IMAGE.